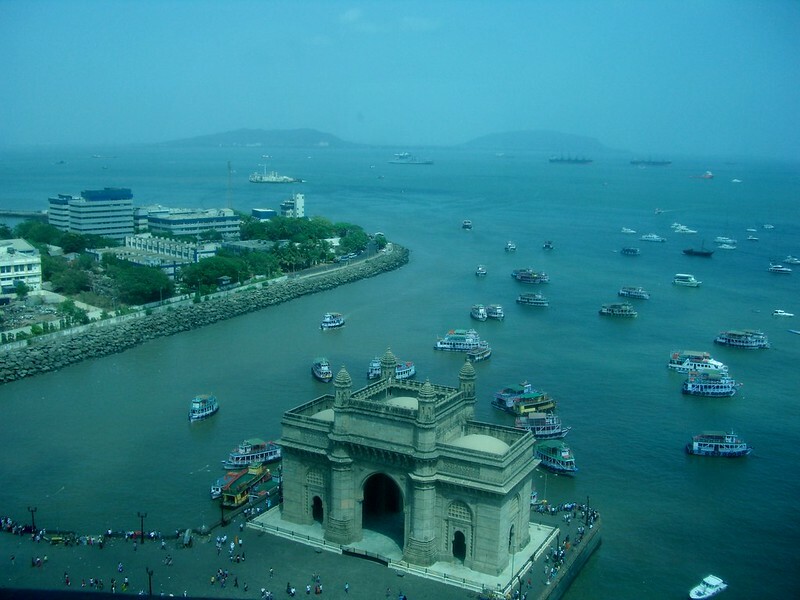 Our final stop in India was the financial capital of Mumbai, formerly known as Bombay. In many ways, it’s similar to Manhattan. It lies on peninsula surrounded by the sea and it has an impressive skyline. 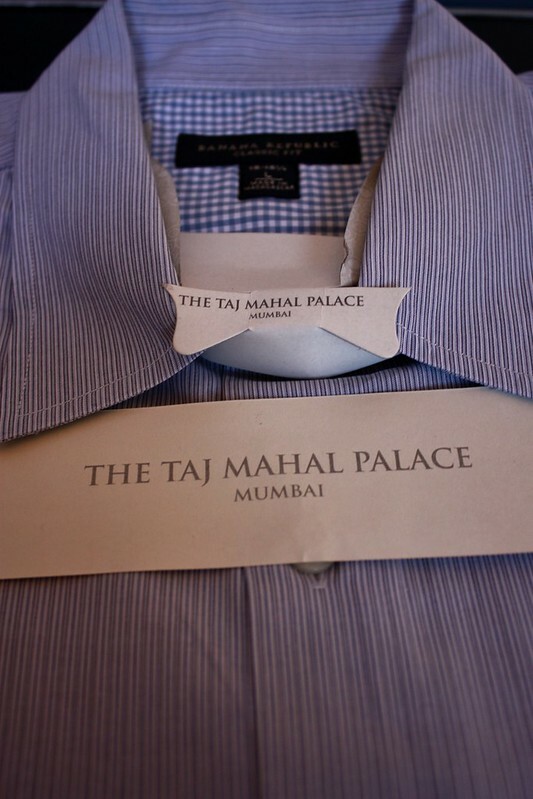 We stayed at the iconic and historic Taj Mahal Palace Hotel. It was built in 1903 and the view of the city from my room was spectacular (see photo above). In 2008, the hotel was attacked by terrorists and the security remains tight to this day. 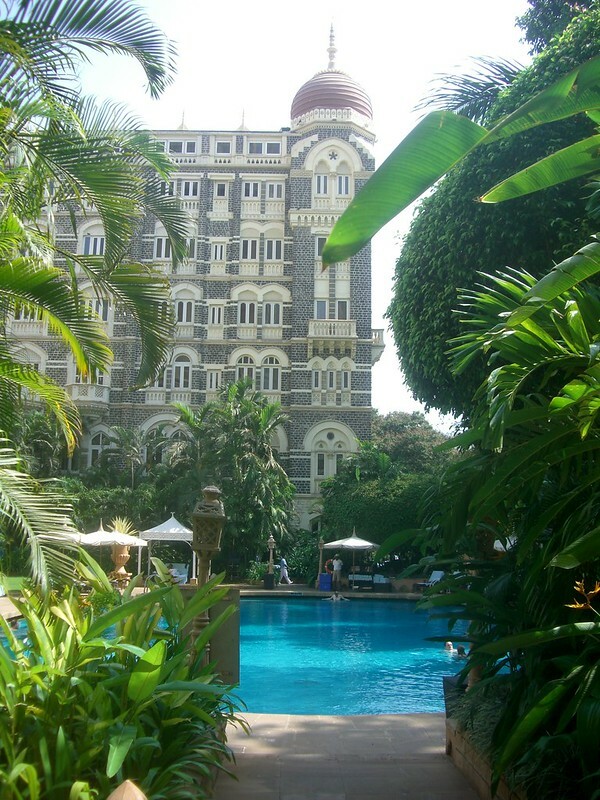 Pool at The Taj Mahal Palace. It was great to cool off with a swim since the temps were so high. By the time I got to Mumbai, laundry service was imperative. Each shirt, underwear and even socks came back “dressed” like this. 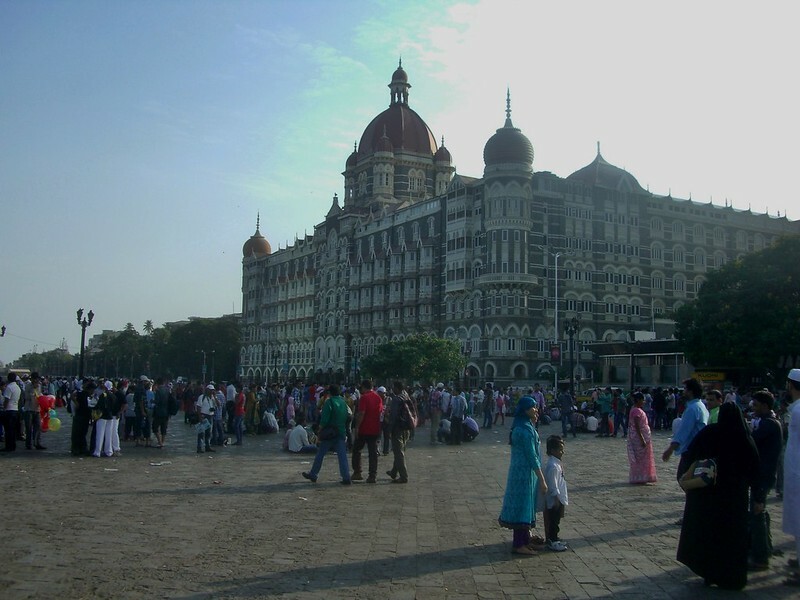 The “Gateway to India”, built in 1911 to commemorate King George V’s visit to Mumbai, is located directly across the street from The Taj Palace. 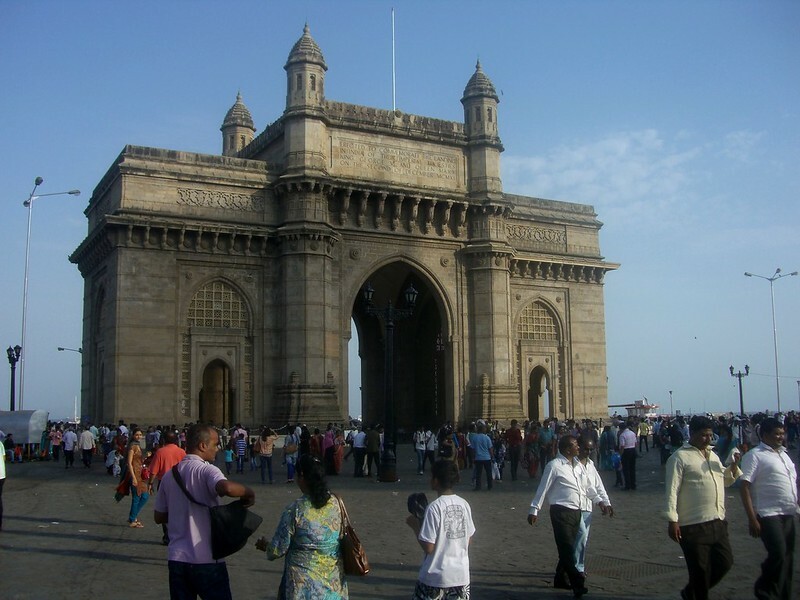 Locals gather daily at the Gateway to India ~ it has a energetic feel to the area. Great people watching and a beautiful location. 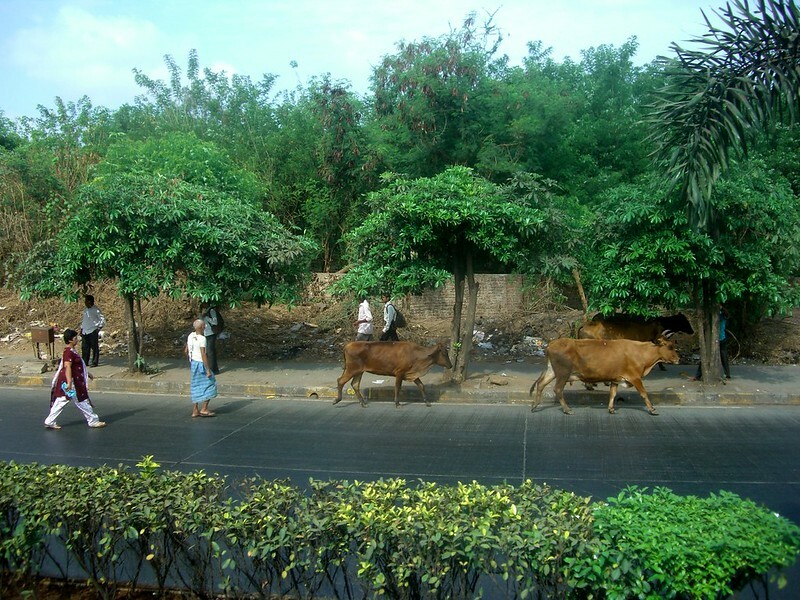 We went on a tour with “Reality Tours and Travel” to the Dharavi Slum. 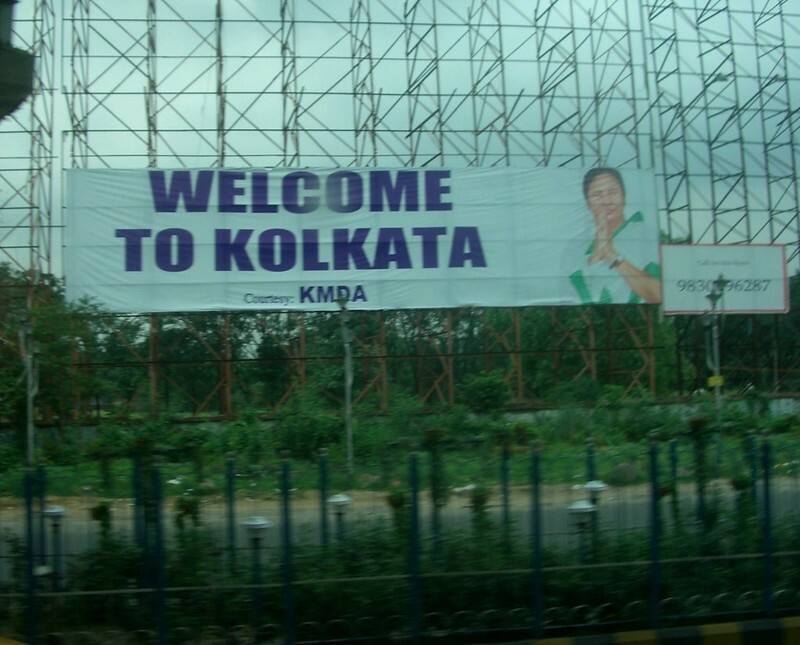 The area became well-known after the runaway hit of the movie: Slum Dog Millionaire. 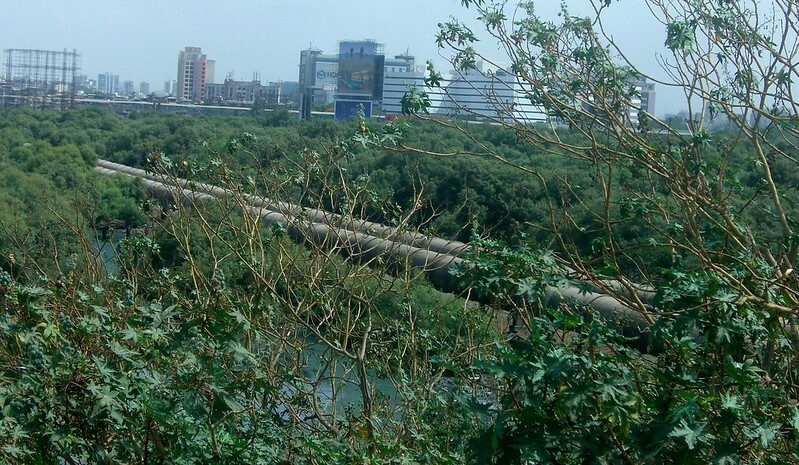 The pipes in the photo above are seen in the movie. Photos within the actual slum was prohibited but I was able to purchase postcards at the end of the tour which highlighted the day-to-day life in the slums. Dharavi is the largest slum in Asia and going on this tour gave a real appreciation of what true poverty is like. 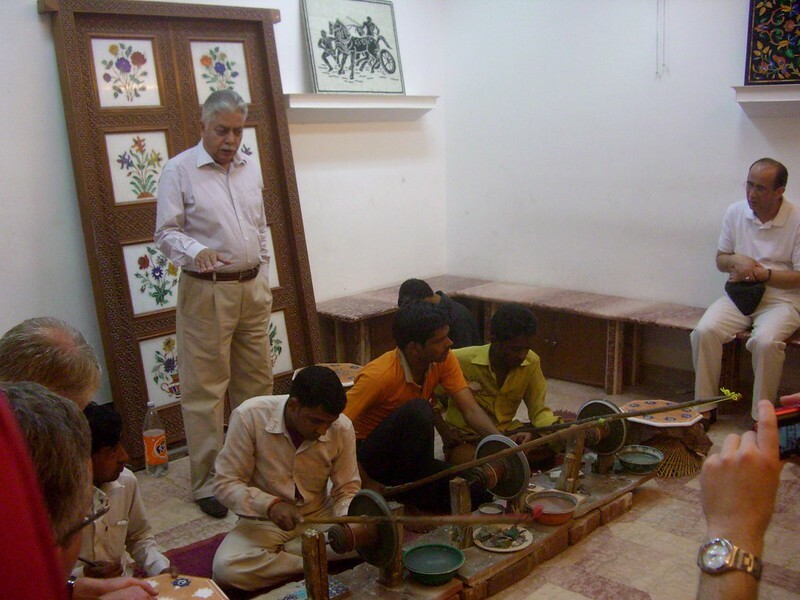 And 80% of the profits of all tours goes to education and health projects in the slum area. For more information about the tour company, click here. As inviting as the subway entrance looked, we chose not to use the subway and walked around the town instead. It’s true, there are cows everywhere! 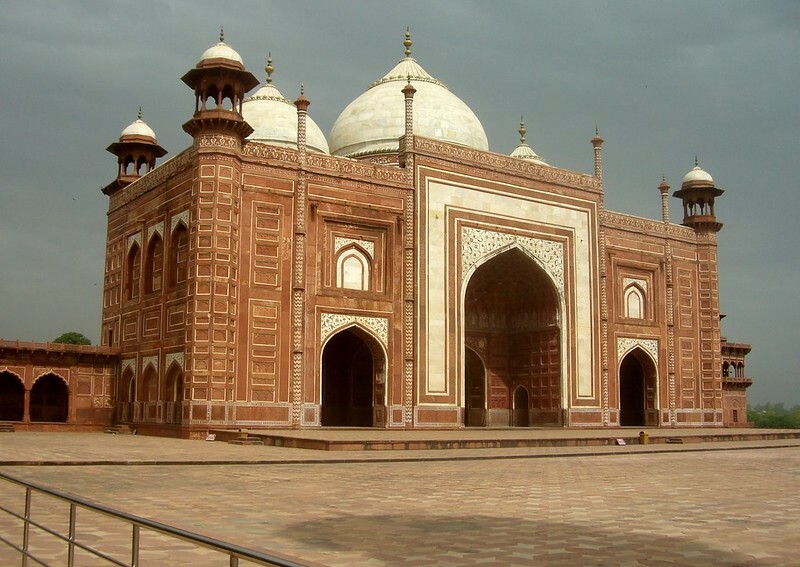 India is a multi-religious country and one of the largest Muslim countries in the world. 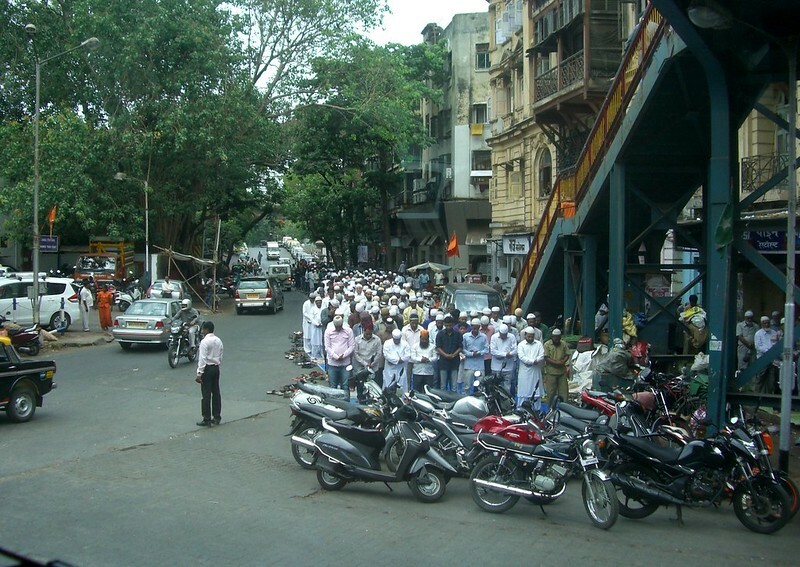 During the mid-day prayer, people lined the streets, faced Mecca and prayed. 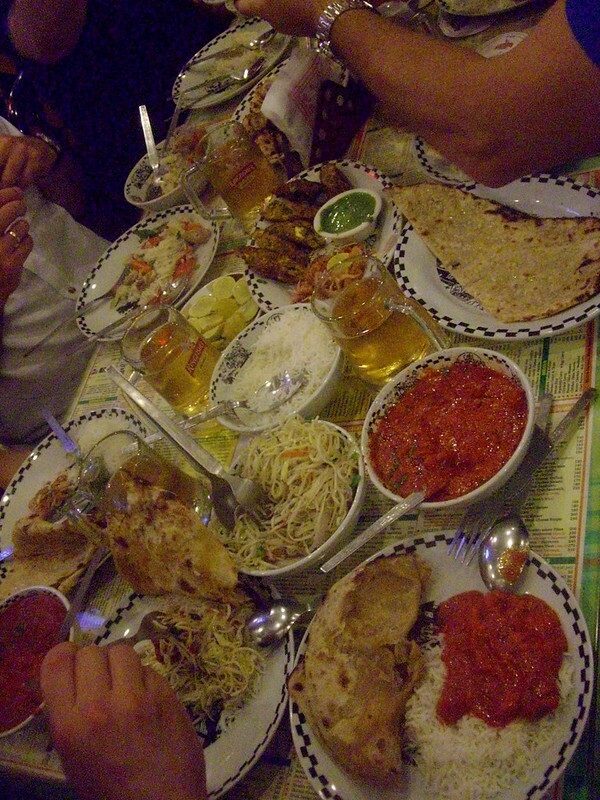 During my visit to India, I ate many wonderful meals ~ mostly curry. 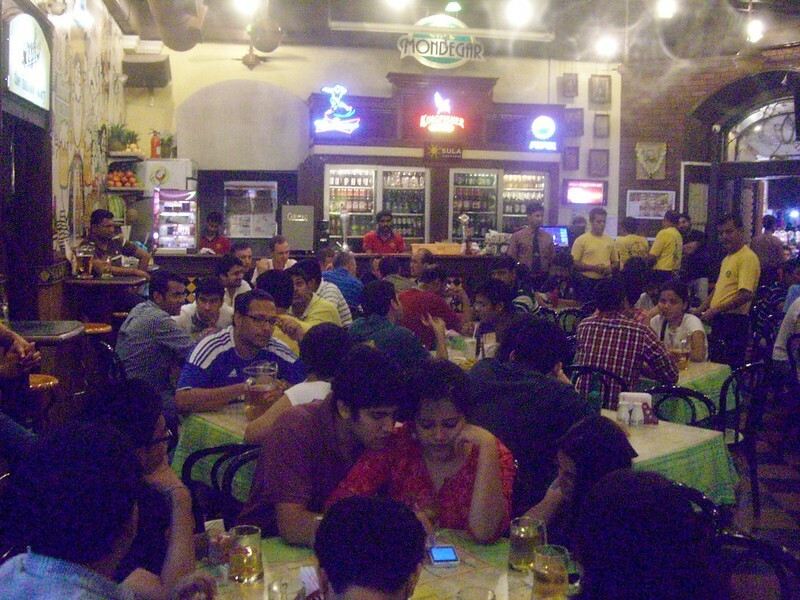 Close to the hotel was a restaurant called Mondegar and it turned out to be a favorite for many of us. Even though we were in India, someone in our group insisted on ordering Chinese noodles. Back in London, we frequently get take out from a neighborhood restaurant in Marylebone called “Bombay Spice” but it may be a while before I’m ready for more India food. On our last day in Mumbai, we took a self guided tour. 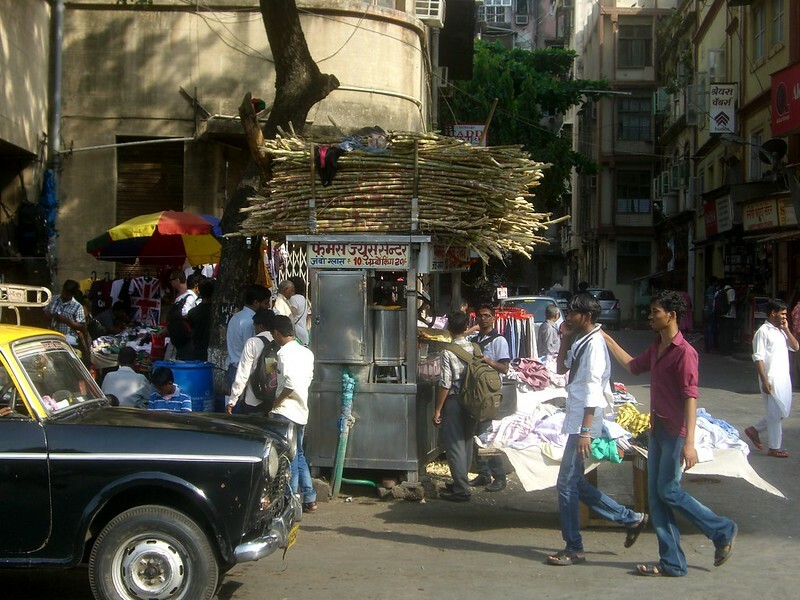 We frequently saw roadside vendors making “Sugar Cane Water” for sale. On our walk, we saw the beautiful Mumbai Train Station. 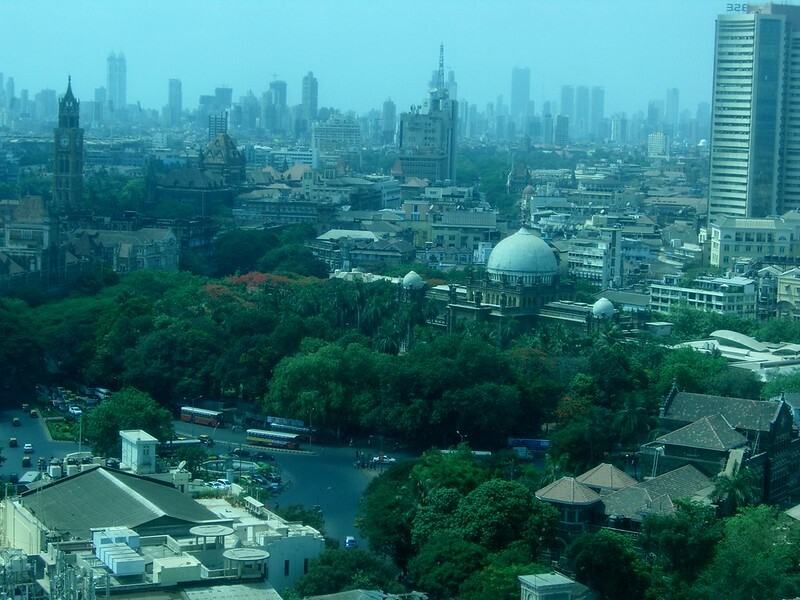 Built in 1887, the Gothic style Victoria Terminus Railway station ranks as the busiest station in Asia. 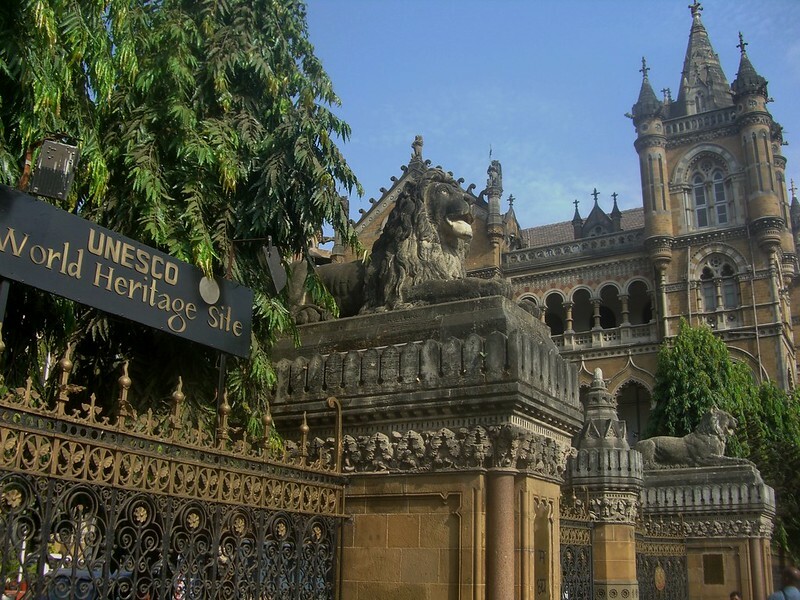 It was renamed the Chhatrapati Shivaji Terminus (aka CST) in 1998 and was added to the UNESCO World Heritage list in 2004. India’s poverty is staggering. There are more people living below the poverty level in India (which is calculated at below $1.25 a day) than there are people below the poverty level in all of Africa. There doesn’t seem to be a state structure to take care of the problem. Women and children are particularly vulnerable so it was heartwarming to visit a private charities such as Women’s Interlink Foundation. 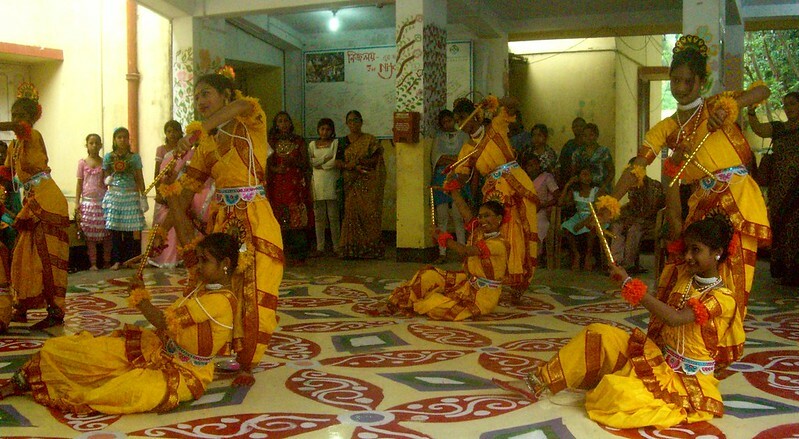 Women’s Interlink Foundation was established in 1990 in Kolkata (Calcutta). Their vision is to create a world where disadvantaged women and children have access to basic care and are empowered to improve their quality of life. They have integrated programs such as literacy, health care, nutrition, skill development, income generation, shelter & drinking water, sanitation, prevention of violence/trafficking, domestic violence, etc. 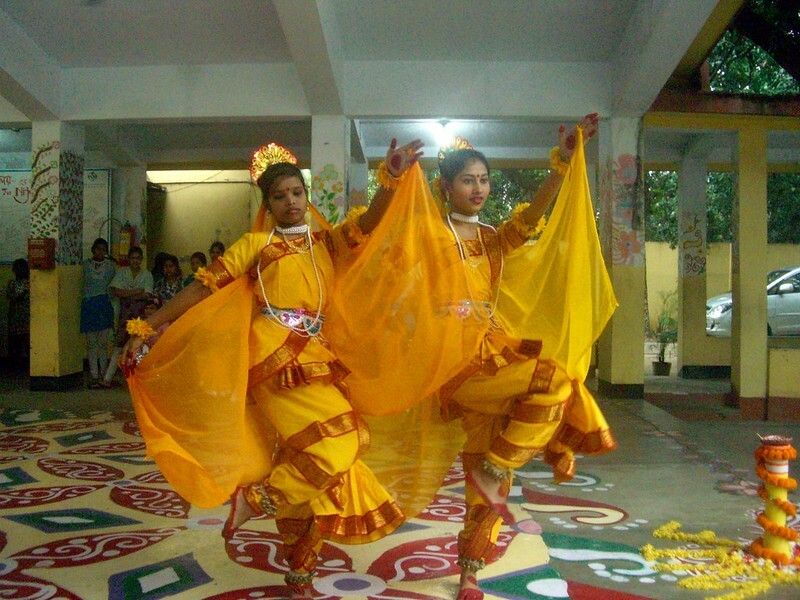 The dancing is taught to improve self-esteem in the women. They performed a traditional Indian dance for our group. 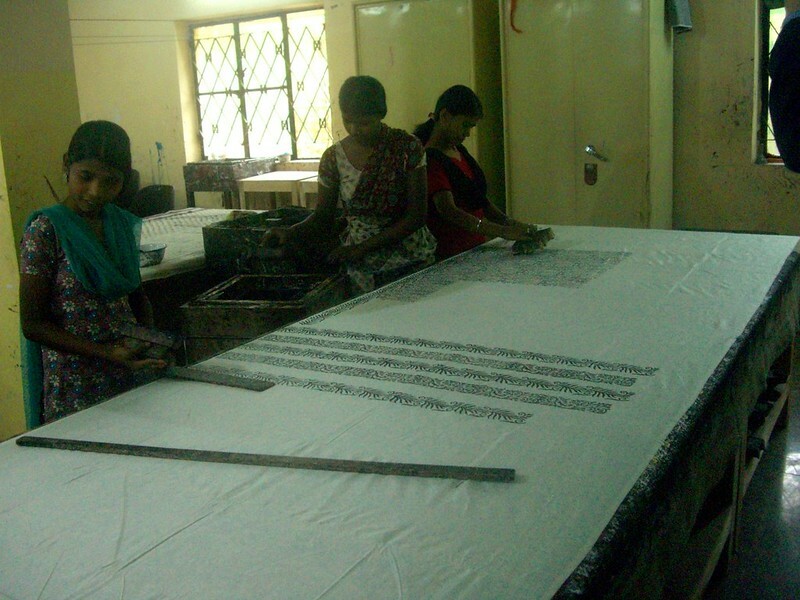 The women are taught various skills in order to become self-sufficient. 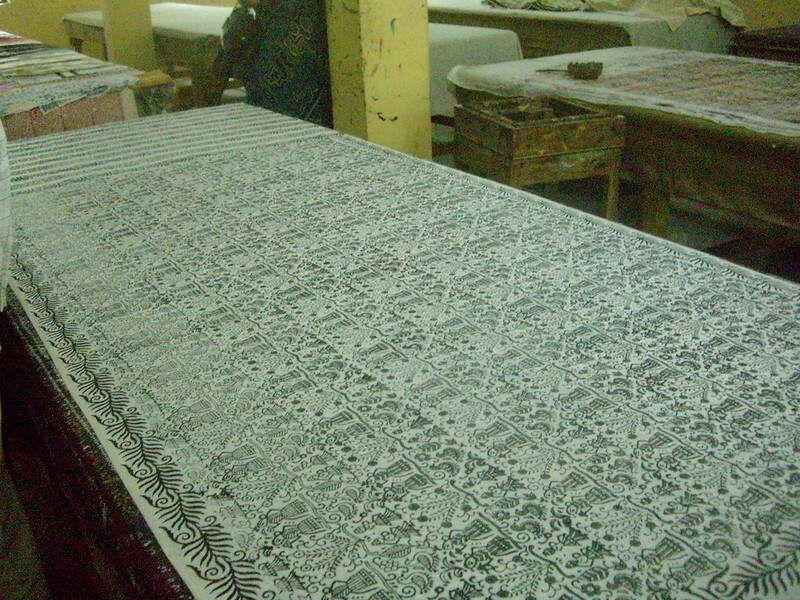 We were shown wood block stamping area. 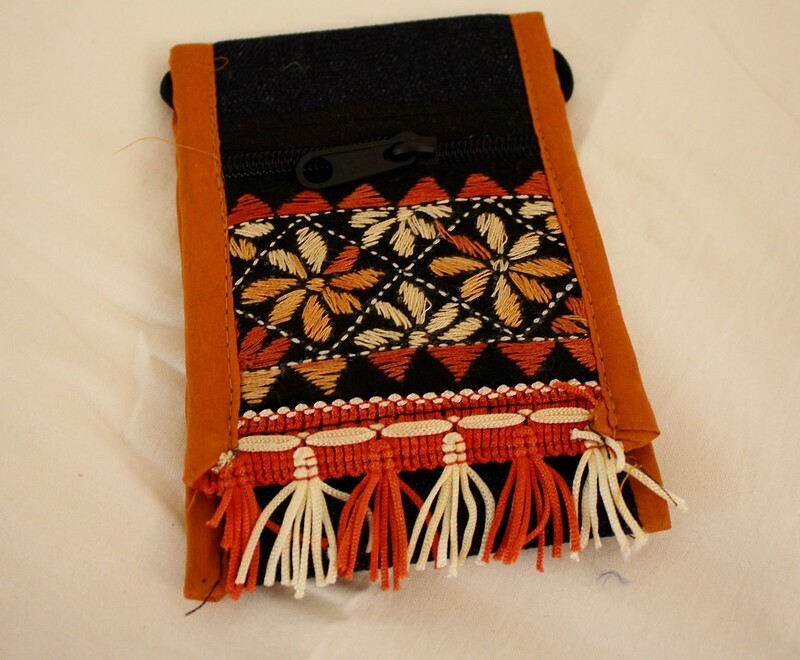 They also make small wallets/purses. 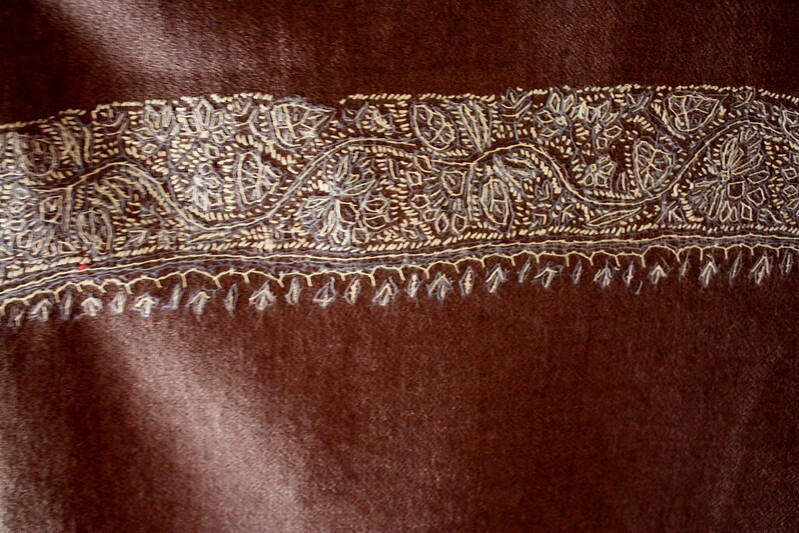 A sample of a “final product” ~ a beautiful tablecloth. In the city where Mother Teresa did her good works, it’s encouraging to see organizations such as Women’s Interlink Foundation continue women and children in need. Upon closer inspection of the Taj Mahal, the workmanship of the building is amazing. All the designs and writings are done with inlay technique using precious and semi-precious stones. 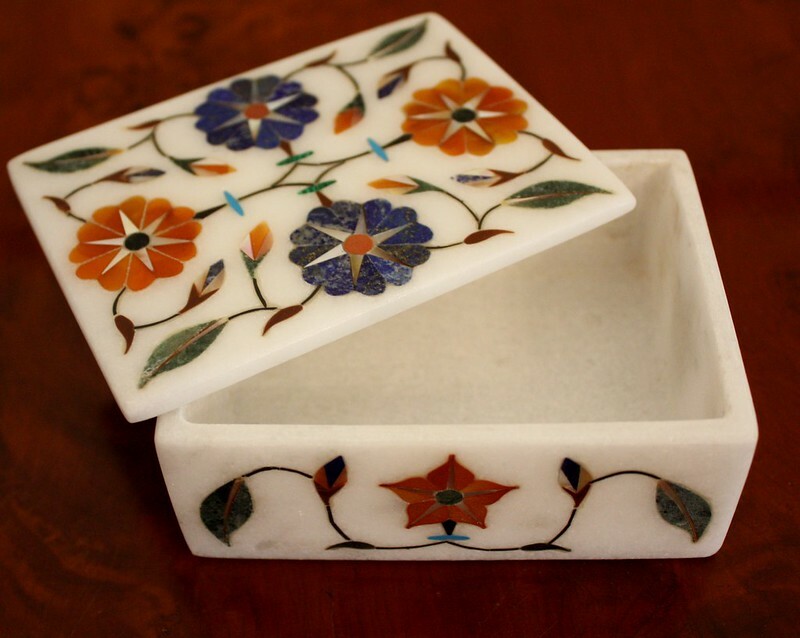 The semi precious stones such as Lapis lazuli, Onyx, Jasper, Cornelian, etc are combined with various marble colors to create items such as small boxes, bathroom tiles, chess boards & table tops. 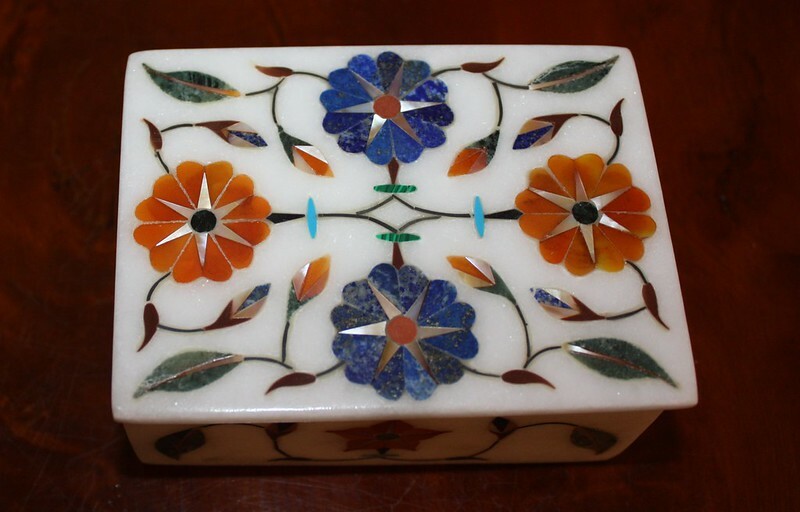 The decorative art is known as pietra dura inlay which has floral and geometric patterns ~ creating a beautiful result. I’ve had an opportunity to travel extensively but can’t always take my family. During my travels, I like to bring a little something home and I started bringing small locally crafted boxes for my daughter. This box seemed perfect to add to her collection. Speaking of shopping, upon returning to New Dehli, a few of us decided to go to the Dilli Haat Market. What a great place ~ it is organized with stalls from all the different regions in India. 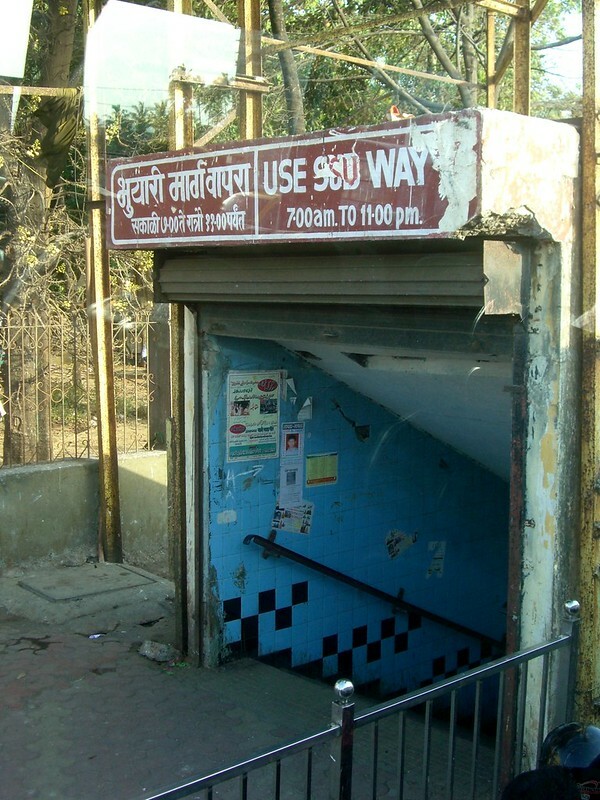 Also, there’s a nominal entrance fee (about 20 rupees) which means there weren’t any pickpockets or beggars to distract while we walked around the stalls. The central food area looked interesting but since I had just recently arrived in India, I was still not ready to tackle street food. 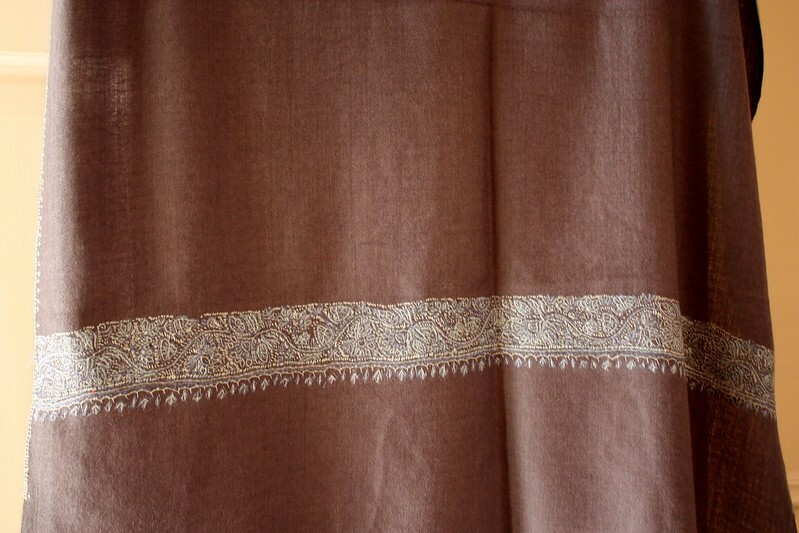 Before I went to the Dilli Haat market, I had never heard of a pashmina but after speaking with the vendor from Kashmir, I was convinced I had to get one for my wife. He said the material came from the neck ~the softest part. Later I learned there’s a trick to telling a good pashmina. Pull it through a ring and if it goes through smoothly, it’s good quality. 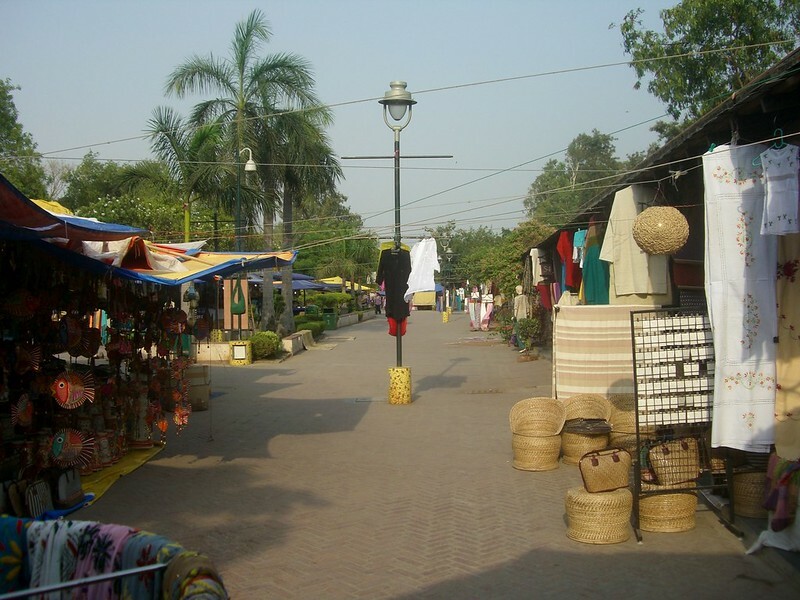 Dilli haat Market, click here. 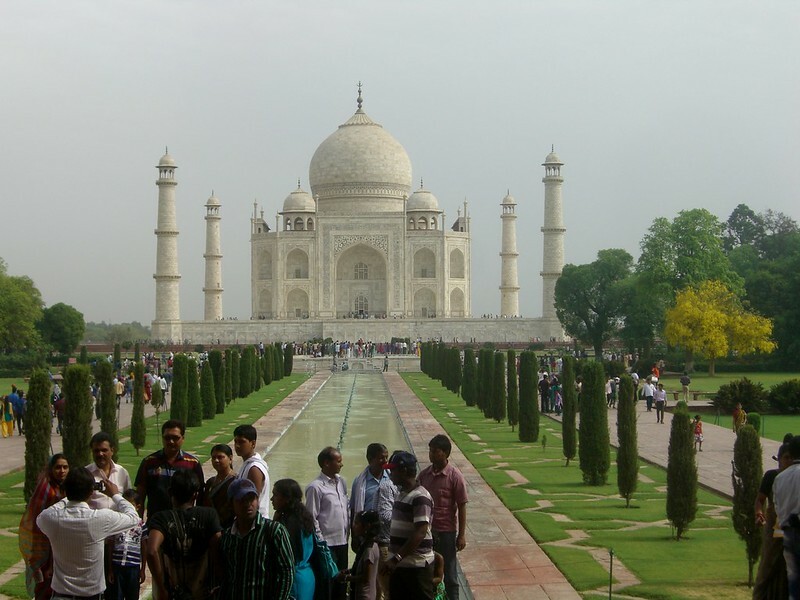 Even though India is high on my list of places to visit and the Taj Mahal is at the tippy top of the list, it’s doubtful I’ll be there anytime soon. John (my husband), on the other hand, spent the month of May on a school trip to India, Nepal and Bangladesh. I’ve been living vicariously through his stories and photos. And bonus, he’s agreed to share his travels here on Displaced Beachbums as a guest blogger ~ we’ll need a few posts to cover the three-week trip. Hope you enjoy reading about his adventures as much as I have. All photos taken by John. 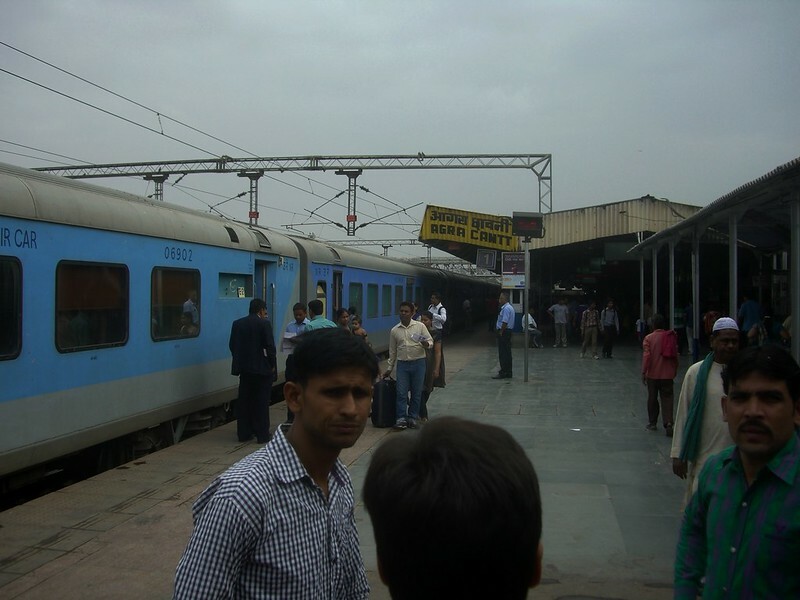 We woke up early to catch the two-hour train ride from Delhi to Agra. The train ride was our first full day in India and we were bombarded by the cacophony of sights, sounds and smells. Having just come from London, the 42°C (107°F) temperatures were oppressive. The most striking aspect of the journal was the people ~ everywhere! Sleeping on the sidewalks, crowding on the trains. Sadly, many children begging. 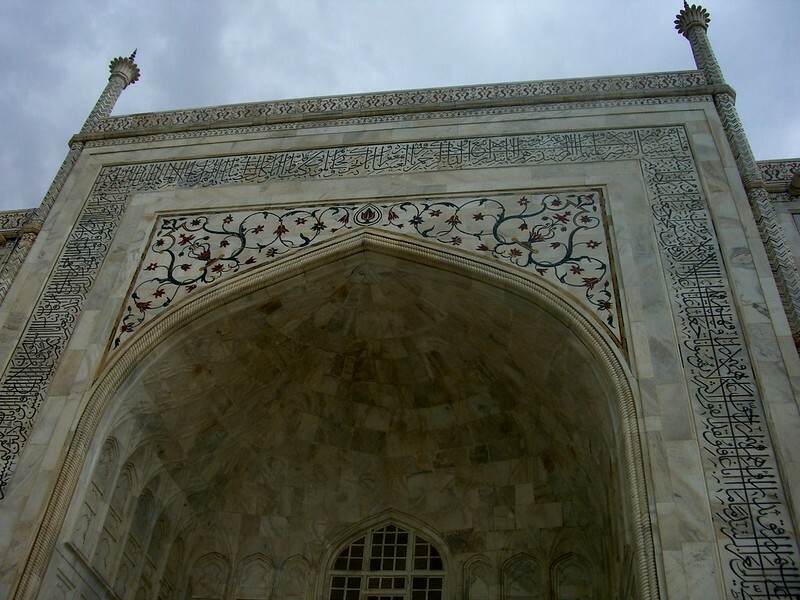 Entrance gate to the Taj Mahal. 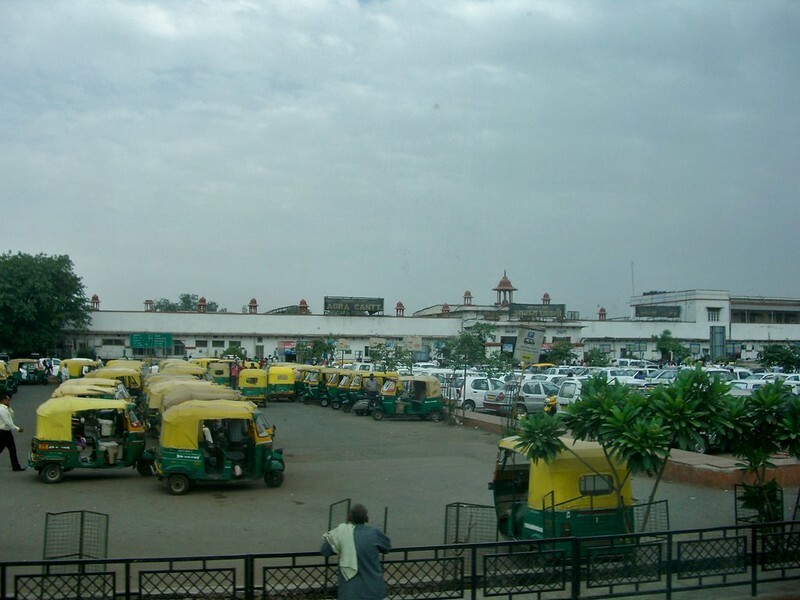 We took a coach from the Agra Train station to a parking area not far from the Taj Mahal. 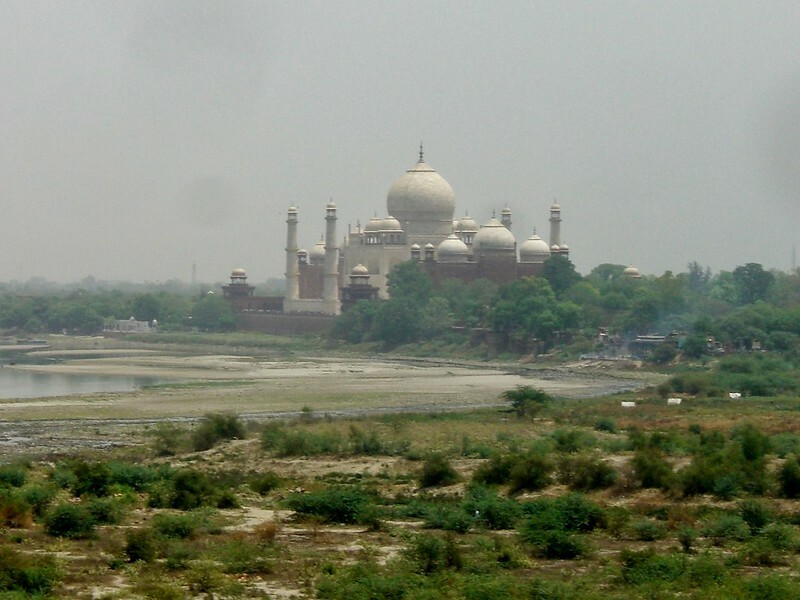 Because they just cleaned the Taj Mahal complex, gasoline/diesel vehicles are not allowed due to the pollution. Only battery-powered vehicles are allowed (think giant golf cart). The Taj Mahal complex is massive ~ not just the one white building. 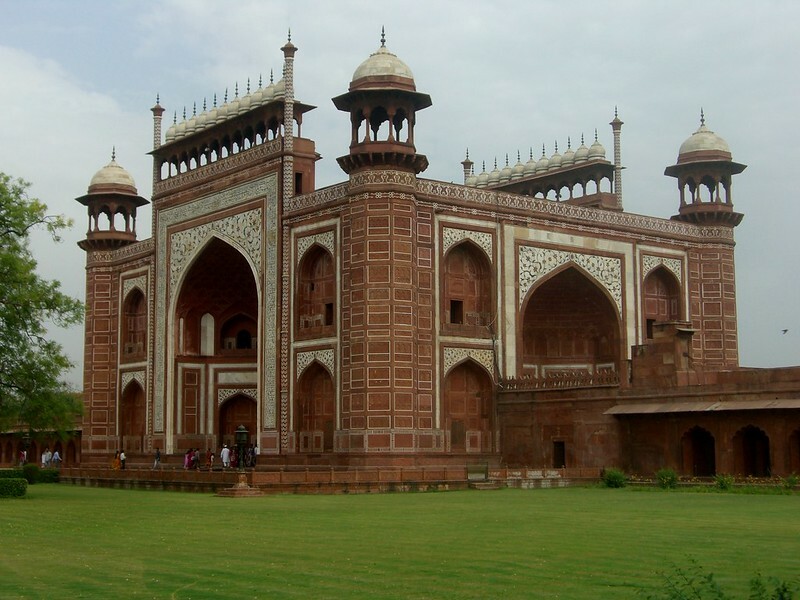 The buildings surrounding the Taj Mahal are made of red sandstone. 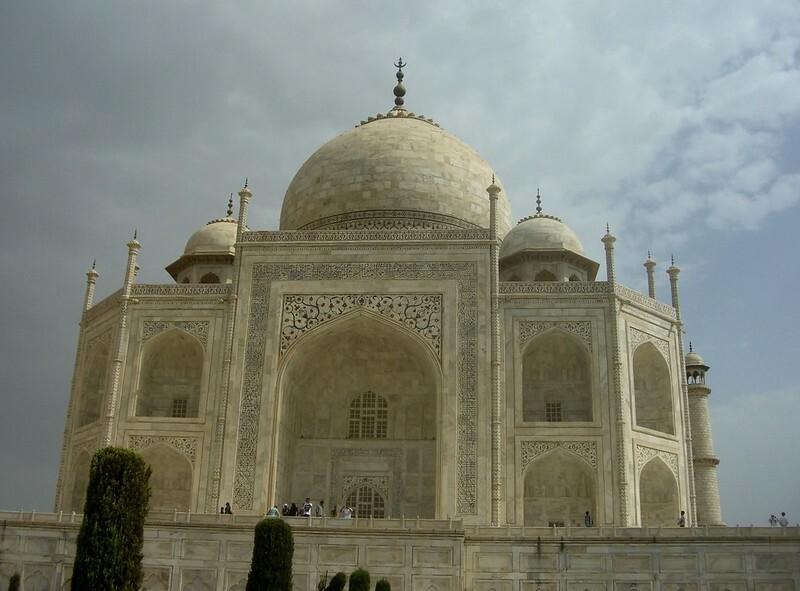 The Taj Mahal was built as a memorial to the third wife of Shah Jahan. Her name was Muntaz Mahal and she died giving birth to their 14th child. The entire complex was completed in 1653. As you get closer to the building, the details become more apparent. You can go inside the building but you must take off your shoes or wear booties over your shoes. This is to protect the beautiful white marble floors. Upon closer inspection, the minarets appear to be leaning slightly. This was actually incorporated into the design because the area is earthquake prone. The designers built leaning 5° outward so if they fall, they will fall away from the main building. 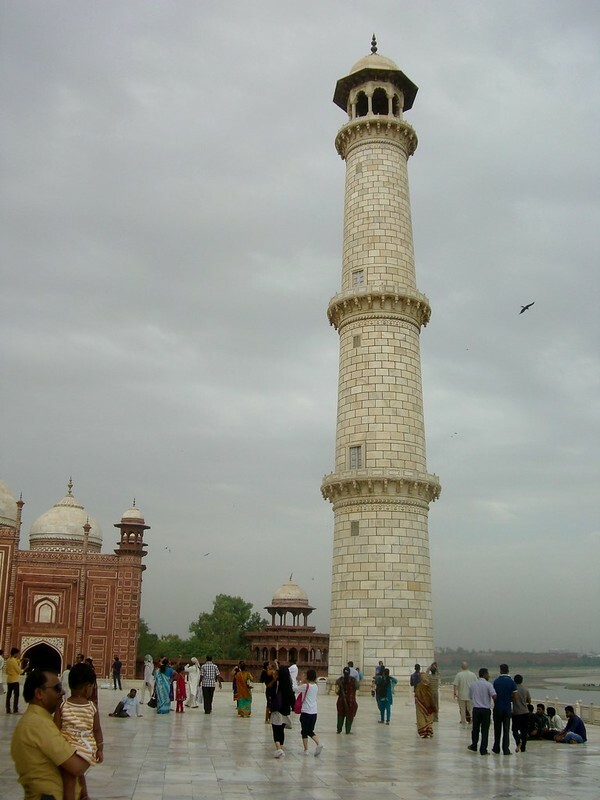 The minarets are strictly decorative. 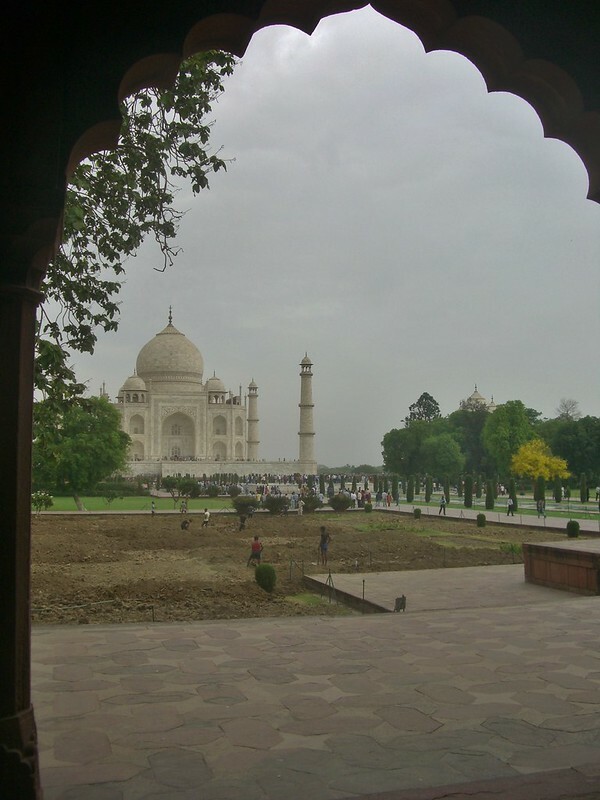 A view of the Taj Mahal from the entranceway. Not sure why there was so much digging going on ~ new sod perhaps. Entrance gate from the inside. After two hours or so at the Taj Mahal, we headed over to the Agra Fort which is about 2 miles away. 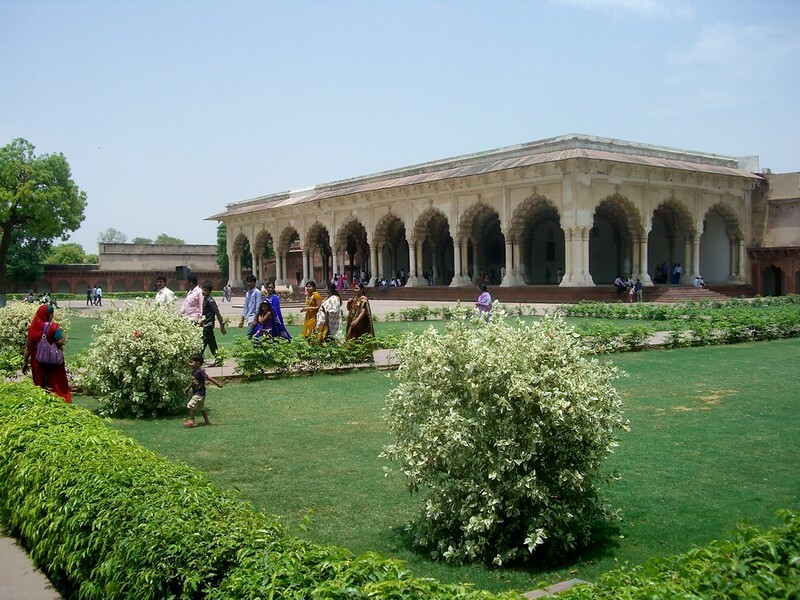 During the 16th century, Agra was the capital of the Mughal Empire. 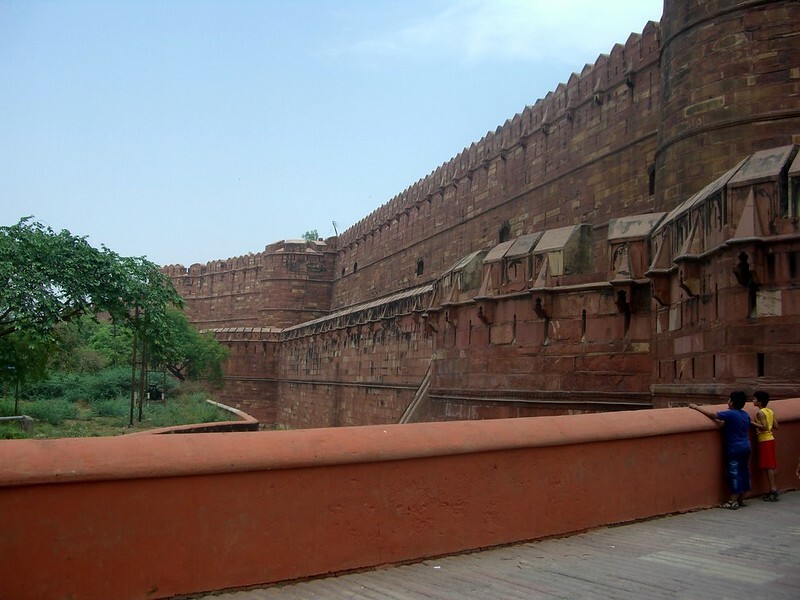 In 1565, the huge red Agra Fort was built. 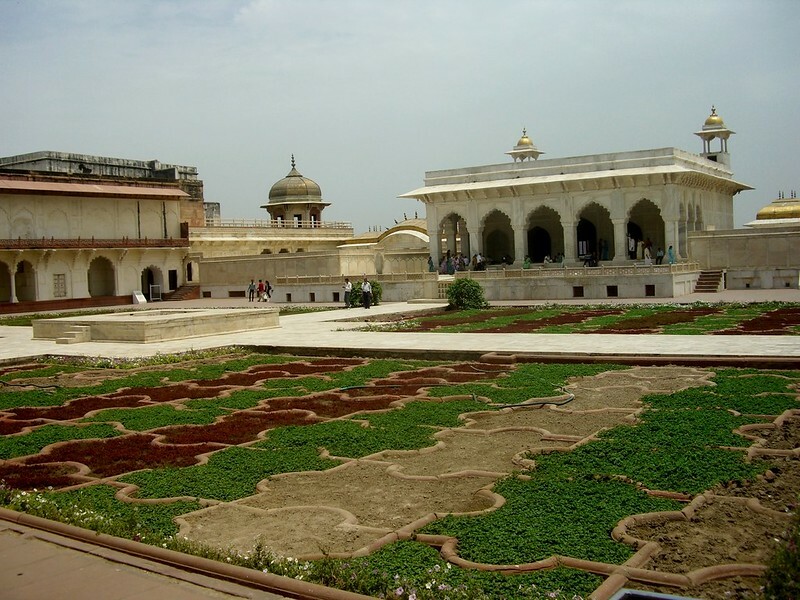 It was built as a military structure but Shah Jahan changed it to a palace in the 17th century. 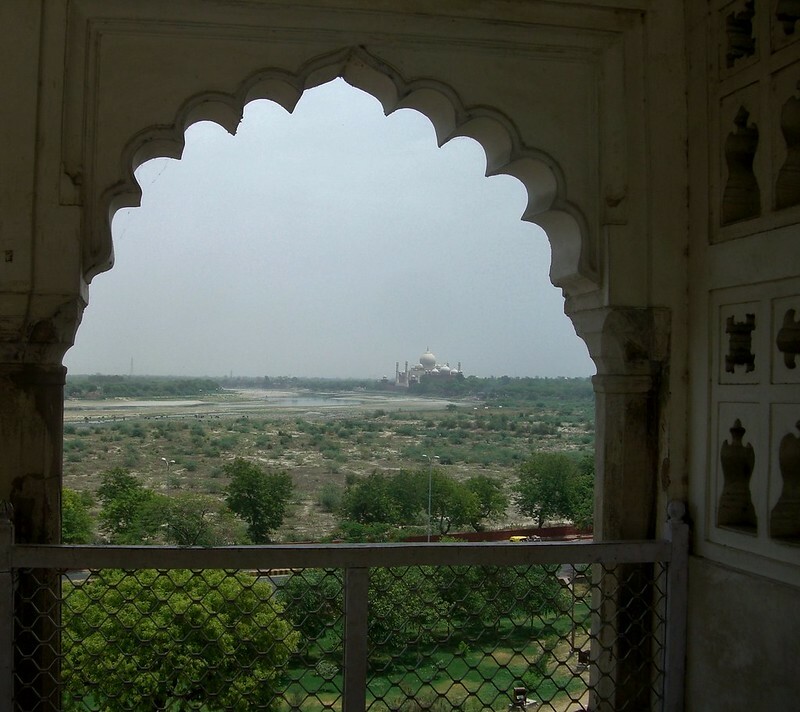 In 1658, The Shah’s son Aurangzeb seized power and imprisoned his father in Agra Fort where he could look out of his window to see his beloved Taj Mahal. He died eight years later and was buried inside the Taj Mahal beside his wife. Entrance into Agra Fort ~ there’s a moat but currently no water is in it. 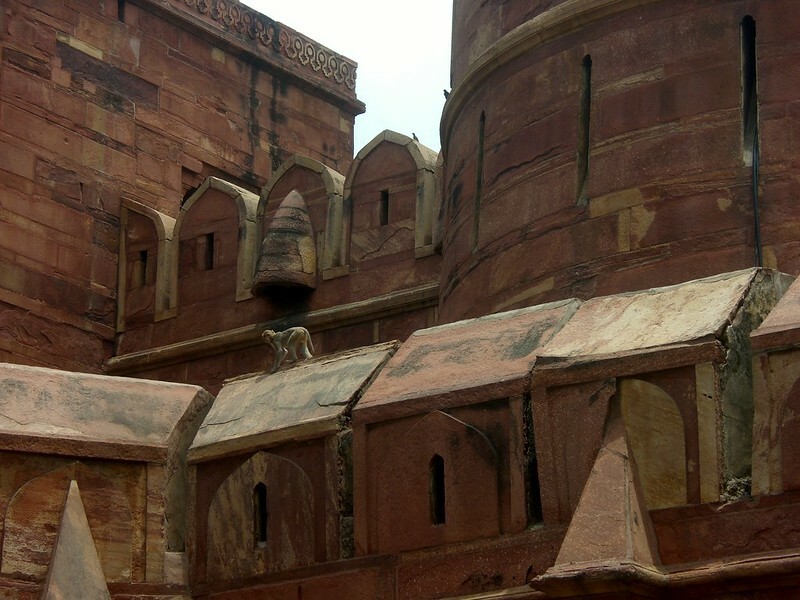 To my surprise, the entrance to the Agra Fort is guarded by a few monkeys (look closely). The monkeys didn’t bother anyone and it certainly added to the ambiance of the fort. It was Sunday and there were a lot of local India families visiting the grounds.